The Ontario Cannabis Store (OCS) is looking to expand its network of partners, including for same-day deliveries and risk management services. Adding same-day home delivery service – including an interface that links to its website – “to meet customers’ expectations is imperative to the growth of its e-commerce business,” according to the OCS’ tender offering. Read the tender offering for same-day deliveries here. The application deadline is Feb. 4, with plans to have the service in operation on March 1. 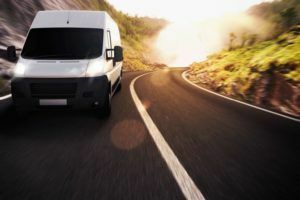 Separately, the OCS is identifying transportation and delivery-service companies to distribute wholesale recreational cannabis to licensed retailers. Seven types of services are anticipated in the request for tender, and the OCS said one or a combination may be utilized. Read the tender offering for transportation and delivery here. The application deadline is Feb. 1 at 2 p.m. The OCS also aims to have this in operation on March 1. The Crown corporation is also soliciting responses from firms to provide insurance-brokerage and risk-management services. Insurance services for structures and property and possessions. Life and health and accident insurance. The application deadline is Feb. 8. Read the tender offering for insurance here. OCS is the sole online retailer of adult-use cannabis sales in Ontario. In April, 25 privately owned cannabis stores are expected to open in the province, but the government-owned OCS will retain its monopoly over online orders. OCS saw adult-use cannabis sales of 21.8 million Canadian dollars ($17 million) in the first six weeks of legalization. Ontario’s tender portal can be found here.